The RAM-HOL-TAB12U consists of a spring loaded back plate and custom support cups for the iPad mini 1,2,3,4 WITH Light Duty case. 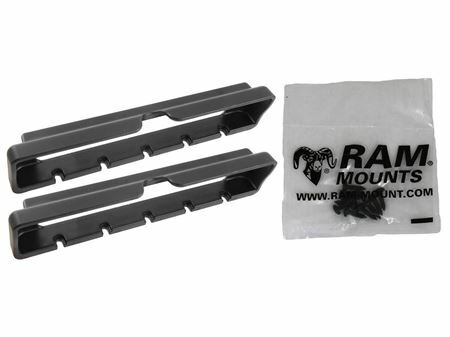 The RAM-HOL-TAB12U by RAM Mounts consists of a spring loaded back plate and custom support cups for the iPad mini 1,2,3,4 WITH Light Duty case. The spring loaded design makes it easy to insert and remove your tablet, along with keeping it secure while on the go. Interchangeable cup ends are designed to optimize the functionality of your tablet, allowing access to audio jacks and USB / Lightning plug.